Applications for Radio 2's search for the best young folk musicians has now closed. The winner will be announced at the BBC Radio 2 Folk Awards on the 27th April 2016, and the prize also includes a session on the Radio 2 Folk Show and slots at three UK festivals. The Young Folk Award has launched the careers of some of the UK's leading folk artists, including Bella Hardy, Jim Moray, Lauren MacColl and Jarlath Henderson. After the initial entries, 10 acts are chosen to attend the Young Folk Award Weekend, which is a residential weekend of workshops led by musicians including the brilliant Nancy Kerr and James Fagan. 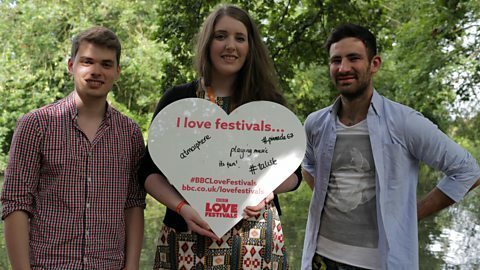 Talisk talk to Love Festivals backstage about BBC Radio 2 Young Folk Award.